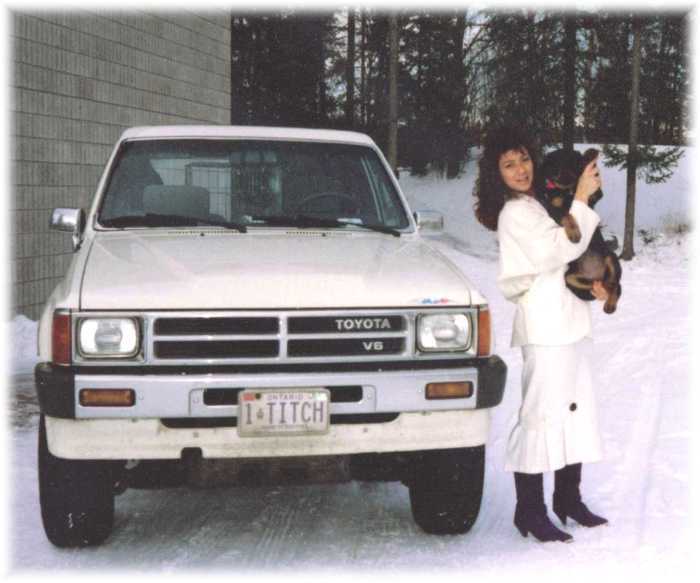 "Even after personally handling hundreds of dogs over the years, there is still at least one dog each day, that I take out to train that can teach me something new, or remind me of something I’ve forgotten. There is no better inspiration!" - R.L. 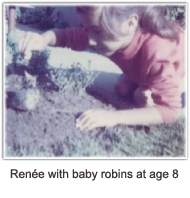 I was the youngest of 7 children in our household and always showed an attraction to animals. I would let any stray dog follow me home so I could take care of it, I would take in and feed any baby bird that fell out of it’s nest until it could fly on it’s own. I think I drove my parents crazy. At the age of 3, we acquired our first family dog. 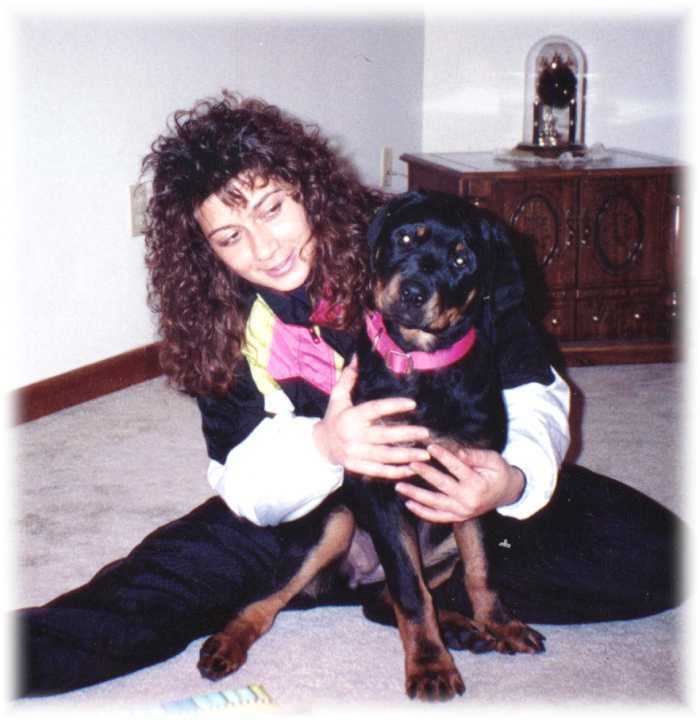 Her name was “Lucky” and she was a Black and Tan Coonhound X. According to my parents, I showed an immediate interest in her and eventually started training her to perform tricks. By the age of 7, I was entering local dog contests and taking home 1st place ribbons and trophies at every event for the next 7 years. Lucky also helped me with my outside chores, deliver TV guides, walked with me to and from school, etc. This was a very important time for me, as she was a true friend. 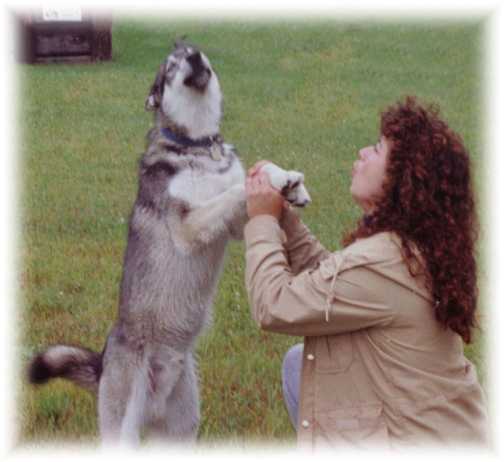 In my opinion now, there is no better way to learn to communicate and to have an excellent relationship with your dog, than to teach them numerous, complicated tricks. Some of the more complicated tricks included pushing a baby carriage, answering and dialing the telephone, flying a kite, skateboarding, etc. The interest and satisfaction was endless. 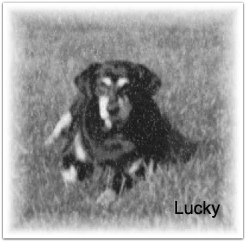 Lucky is the reason that dogs became, and still are, a huge part of my life . The memories I have of her and the experiences I gathered were perpetual. In the 1970s, I volunteered at the Welland Humane Society on the weekends and worked there for 3-4 years whenever I could. I experienced first hand, the ill effects of what irresponsible pet-ownership creates and the reality of society. This experience has carried with me into my present position and has influenced me to make better choices with my breeding program, selling of my dogs, caring of my dogs etc. Beyond that, I have reached out to the community to try and educate kids in schools and adults alike through public demonstrations, lectures, school programs, training of government agencies, and dog sport competitors. 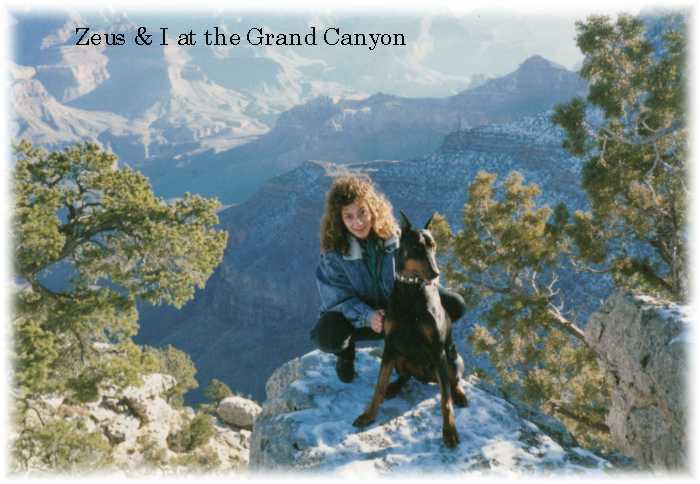 In my earlier years, I was connected with Rescues and tried to help place many dogs from Rescue organizations. 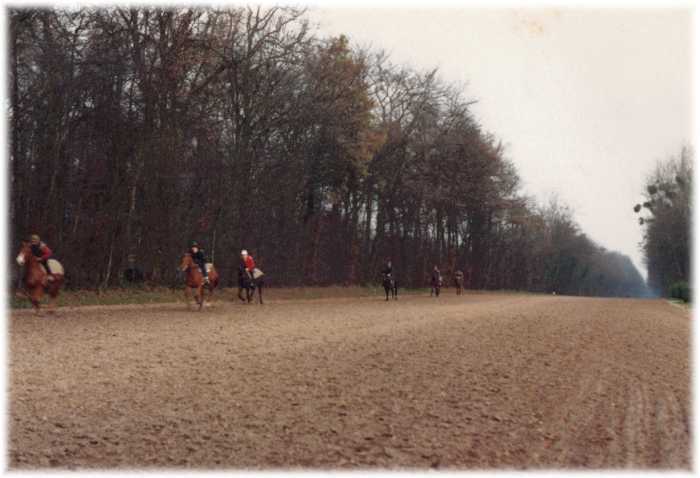 In 1981, I started working with thoroughbred horses at Ft. Erie Racetrack. Here I spent the next 7-8 years working for top operations such as Josham Farms owned by Ted Burnett in Toronto, the farm was ran by Manager David Forthyse. 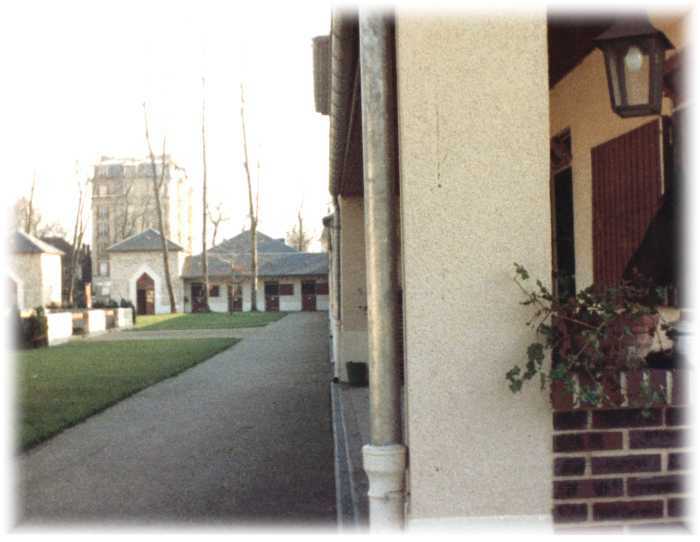 This was a small but very classy operation where I gained much experience working with breeding animals. 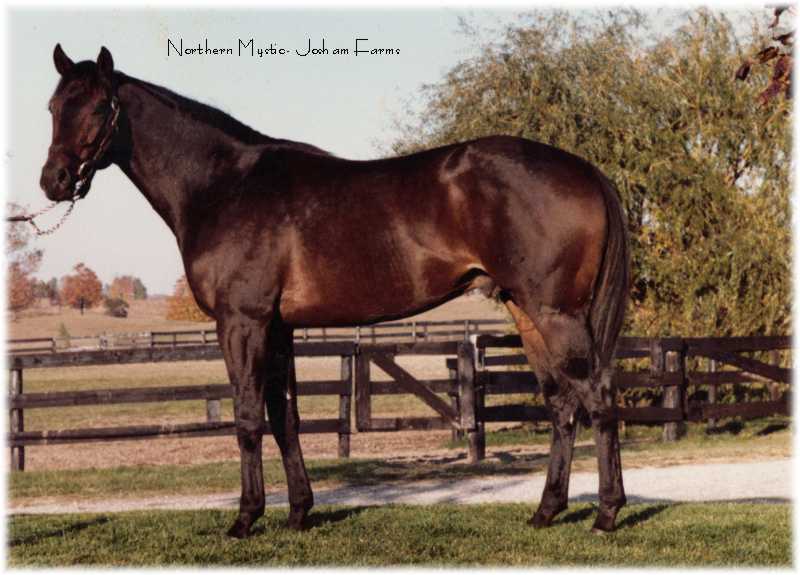 I was in charge of the sire “Northern Mystic”- who was a Northern Dancer son and was used for the breeding program. 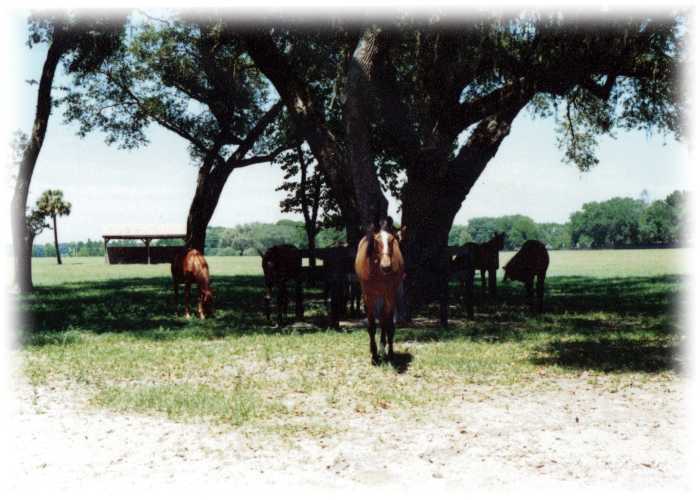 I was also in charge of the Yearling farm where I cared for, raised and prepared the yearlings for the Fall Woodbine Sales. 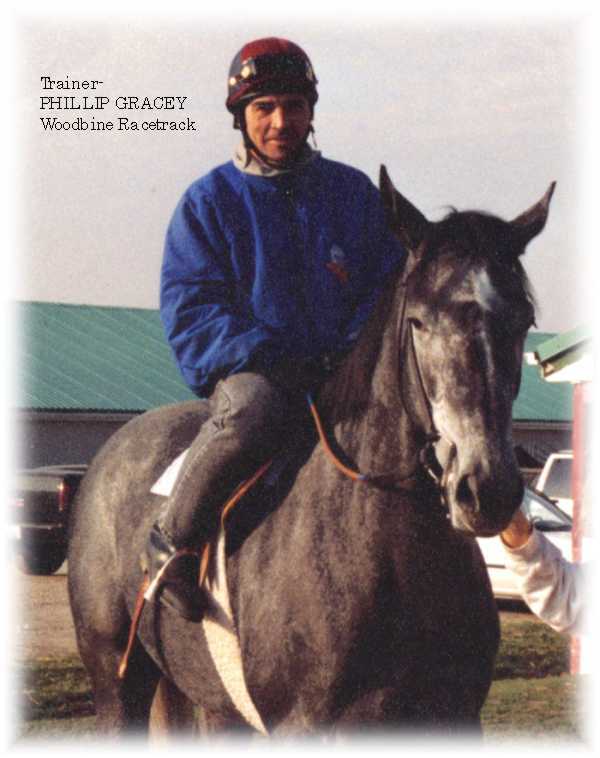 I also met a trainer by the name of Phillip Gracey at the Ft. Erie Racetrack. 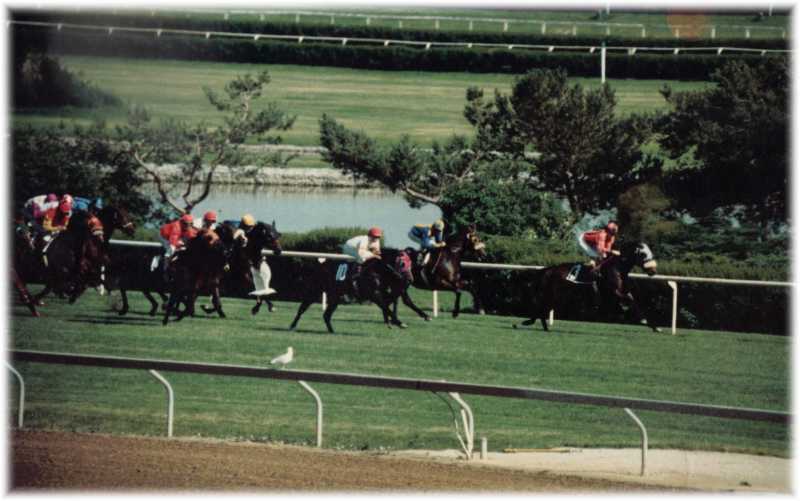 He was one of the trainers for Ernie Samuel of Sam Son Farms who at the time was the best top-notch operation for this country and had many outstanding horses in the thoroughbred world. This was a multi-million dollar operation. 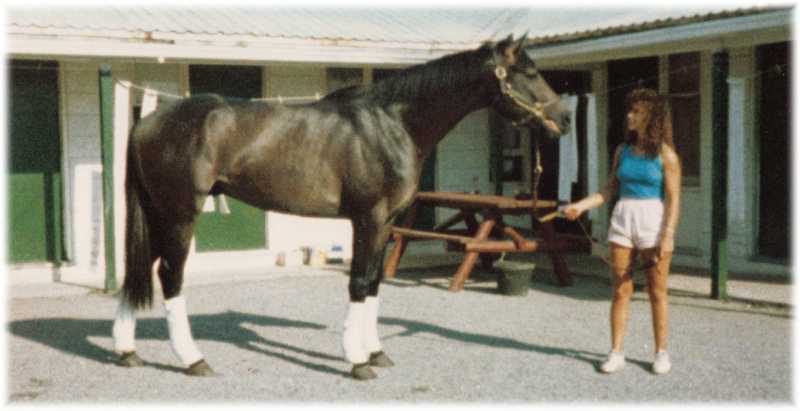 I was lucky enough to have cared for such great horses as “Classy and Smart”, “Grey Classic”, “Ruling Angel” and was able to ride the retired and famous “No Class” mare who was the best producing dame of Sam Son Farms. 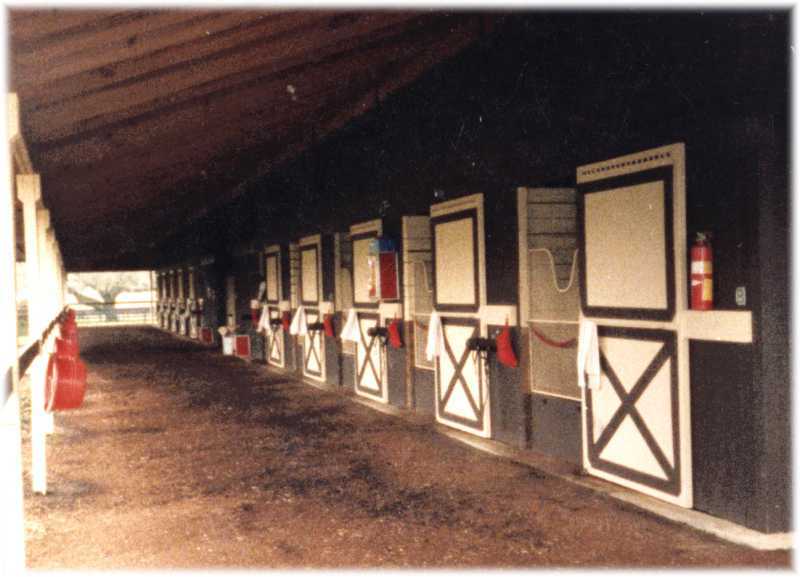 I stayed with Sam Son Farms for several years and worked at the racetracks, as well as at their training farm in Ocala, Florida during the winter months. Here I was under the guidance of “Jimmy Day” and the farm manager “Ernie Gerber”. 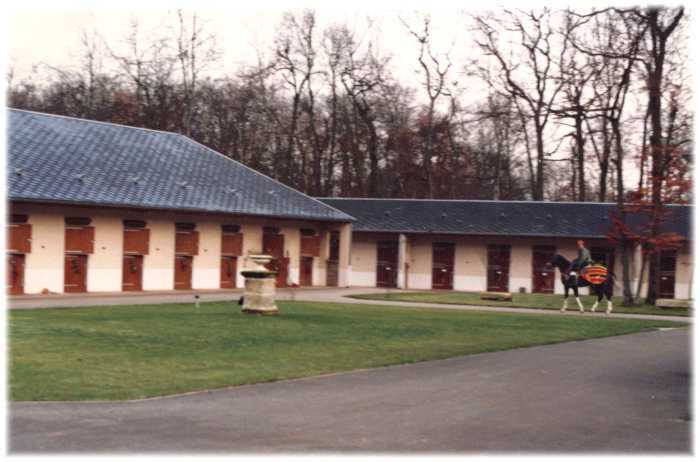 In 1987, I was fortunate to be part of a 4-person crew who was in charge of delivering an entire team of Polo ponies (owned by Jack Burnett) to Paris, France by air. This was a great trip and an honor to have been included in this adventure. 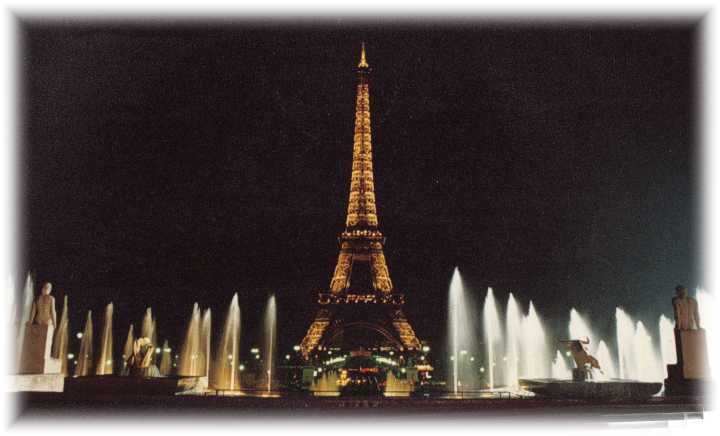 The people in Paris were extremely refined and welcomed us with open arms to their country. 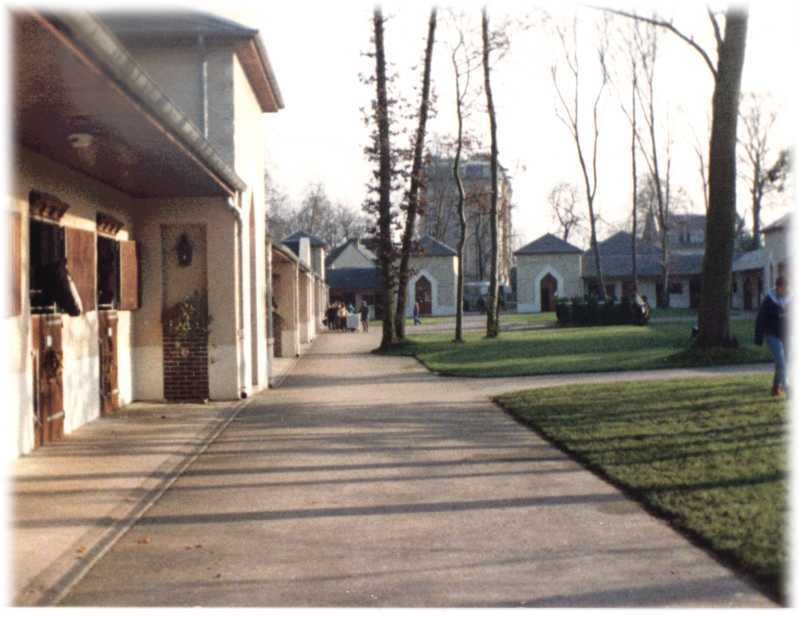 We were able to see all of Paris and also see how the horse people in France cared for and trained their horses first hand. We were well taken care of. Working for such a high caliber organization, I learned extremely important things about animals. You get out of your animals what you put into them. Health, mind and soul are never an option when you are choosing breeding animals. Proper conformation in an animal will result in fewer injuries, better performance and add to longevity. Proper decisions while matching breeding partners is vital. Trying to “cut corners” will always result to failure. Working with such powerful, variable, high minded animals, I also learned a lot about communication and using “energy” properly and truly how to get along with an animal without the use of force and brut strength. 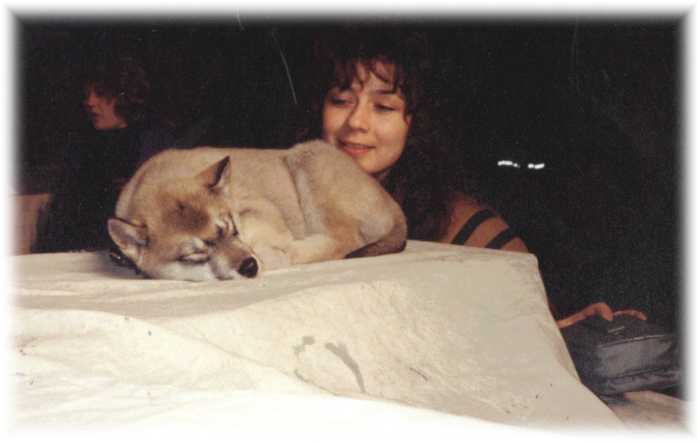 I learned how to connect with an animal and was able to gain respect, trust, and confidence in them no matter what the situation, in a very short period of time. 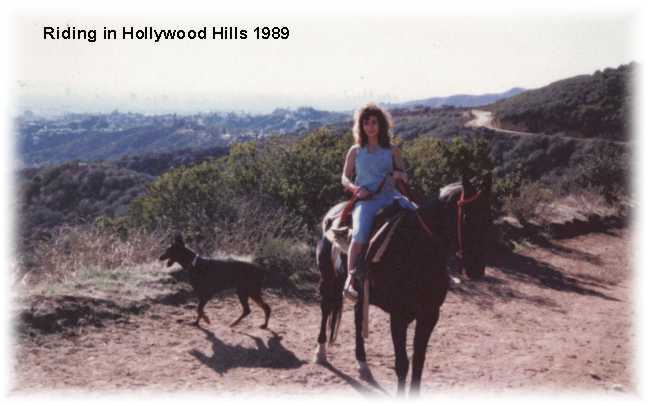 The experience I gained from the horses was extremely important and has made me into, who I am today, with my own breeding program, training programs and my general care/responsibility of my own animals. I have to thank Ted & Jack Burnett, the late Ernie Samuel, Phil Gracey and Jimmy Day for making such a colossal impression on me. Little did I know at the time, they would all be part of the reason for my success today. During the early 80’s I became a fancier of the Doberman Pinscher and the Rottweiler and also did C.K.C. competition with them. 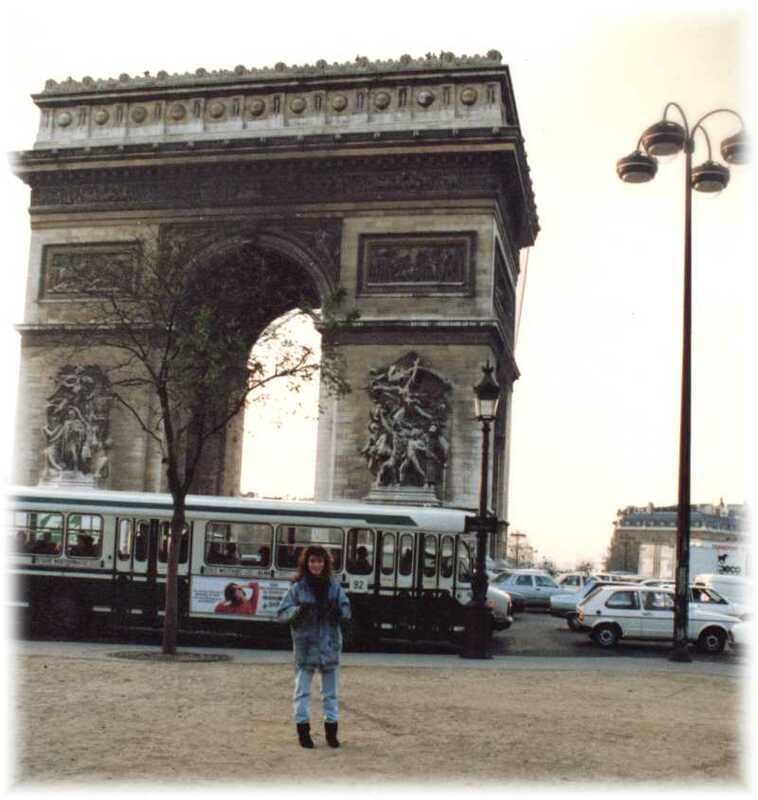 In 1985, I had an unfortunate accident on a motorcycle and shattered my leg very badly. 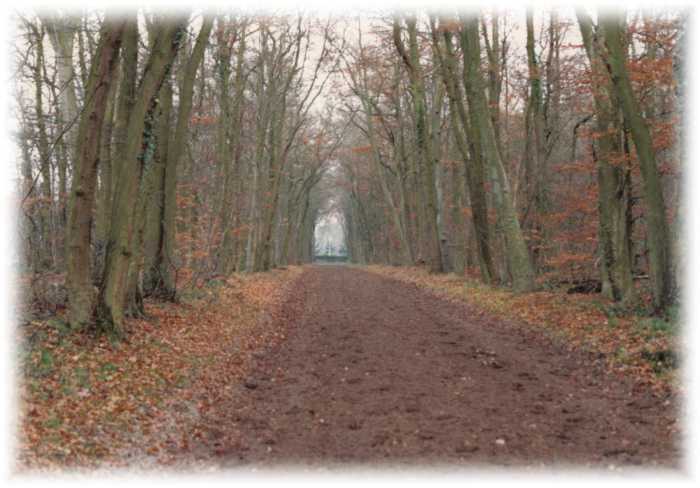 I was told that I would never walk again properly and decided that I would have to leave the horses, as they demanded such high physical efforts. After 2 years of re-hab and 4 operations, I beat the odds and slowly gained strength and the use of my leg back. I decided because dogs were always part of my life, I would get into the world of dogs and thought that I would be able to do this work with my handicap. To my surprise, I gained full use of my leg back and was able to do almost all the things that I did before the accident. Completed a full-time 4-month course in DOG GROOMING under Susan Frazer in Toronto, Canada. After my training I decided to open my own grooming shop, retail store and taught dog obedience classes. Responsible for training and certifying over 60 DETECTION DOGS that were actively being used by Police and Security agencies throughout Canada and United States. Responsible for evaluating, selecting, initial training and placement of over 500 dogs imported from Europe for Police throughout Canada and United States. Have spent many months over the years in Europe testing, evaluating dogs and working with the European trainers, Breeders, Police and Military, building my training knowledge in Police, Military & Sport Dogs. 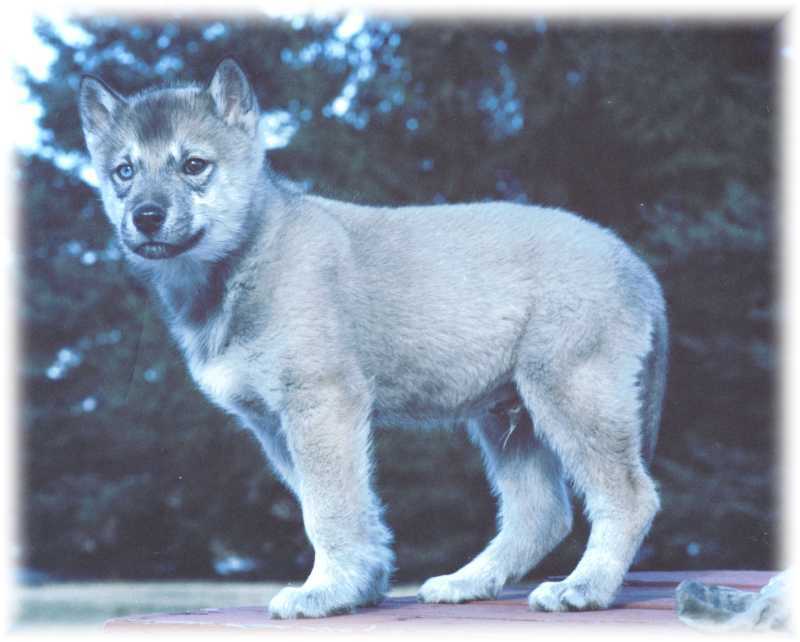 Purchased and raised a wolf-hybrid to observe first hand this new fad of canine that was being sold everywhere. His name was “Cree” and he was very different, not social with new people at all and his digestive system never did get along with our store bought dog food, he was always sick from it. Cree just reinforced my belief that wolves should be left alone in the wild where they belong… Although this experience was quite interesting, I did learn that these animals should not be crossed and put into domestic situations. Here are some pictures of him. We did have a great time with him- as much as one could with a sheltered life. I was a guest lecturer for the Czech Army on the use of Police Dogs in Canada. Contracted by the private sector "Origin and Cause", as well as independent Insurance Companies to conduct Accelerant Detection Searches. 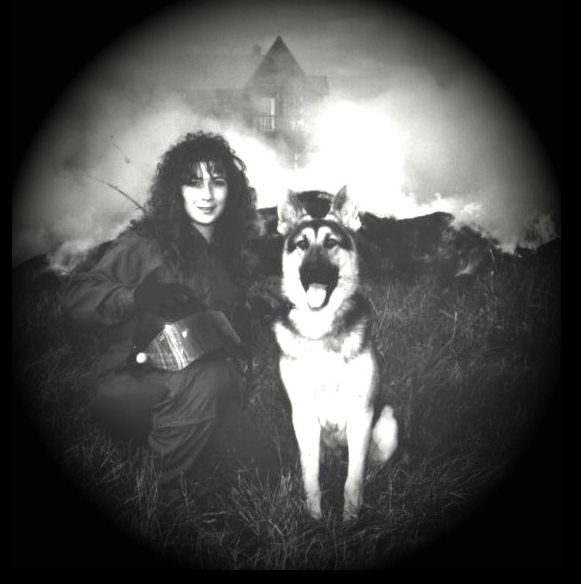 I was the trainer and handler of the 1st ACCELERANT DETECTION DOG used by the private industry in Canada. Attended and received Certification in INTRODUCTION TO FIRE INVESTIGATION BASICS and EXPLOSIVES in the State of Maryland. Licensed Canine Handler for Security Investigations in Toronto, Canada. Responsible for the training and placement of Patrol Dogs for CORRECTIONS CANADA, stationed in KINGSTON PENITENTIARY, (Maximum Security). Instructor, for over 50 guards in the proper handling, care and training of Patrol Dogs. Instructor for the E.R.T. (EMERGENCY RESPONSE TEAM) for all CORRECTIONS CANADA facilities in Kingston, Ontario in regards to PRACTICAL APPLICATIONS FOR PATROL DOGS. CANINE DRUG DOG HANDLER for the J.F.O. (JOINT FORCES OPERATION), Niagara Detachment of the R.C.M.P. (Royal Canadian Mounted Police). Attended a seminar held by the HALTON REGIONAL POLICE. On CRACK COCAINE, INDOOR MARIJUANA CULTIVATION, and DRUG INTERDICTION. Drug Dog handler for the HALTON REGIONAL POLICE while executing drug search warrants, under the authority of the Narcotics Control Act. Awarded with a Certificate of Appreciation for my efforts to further their goals by the UNITED STATES POLICE CANINE ASSOCIATION INC. Featured in the publication “FLAME OF COURAGE: THE CANADIAN FIREFIGHTER” doing an accelerant search with my detection dog Smoke. Executed numerous BOMB DETECTION SEARCHES including being a member of the AGA KHAN'S advance team during his visits to Toronto, Canada. Completed a course on VEHICLE INTERDICTION TECHNIQUES PIPELINE/CONVOY put on by the R.C.M.P. (Royal Canadian Mounted Police), OKLAHOMA HIGHWAY PATROL and HALTON REGIONAL POLICE SERVICE. Bred/raised and trained, more than 100 puppies used for Police, Military, Schutzhund and working homes. Have had numerous interviews with television stations and newspapers in regards to the training and handling of LAW ENFORCEMENT DOGS or the Breed of German Shepherd Dog. A member of the Canadian Police Canine Association, United States Police Canine Association, Canadian Kennel Club, German Shepherd Schutzhund Club of Canada, and Schutzhund USA, Director and founder of Niagara Hundesport Police K9 Training Club. Awarded with a GOLD MEDAL for performance by the G.S.S.C.C. (German Shepherd Schutzhund Club of Canada) within a 2.5-year period. I also received the new Platinum Award when it was introduced. Have competed at National level in the sport of Schutzhund 14x(6different dogs) since starting the sport in 2000 and also gained Ontario Champion x2, Eastern Champion x2 & Canadian Champion titles. Many more podium dogs at the Championships and Club Trials. Responsible for training 150+ home obedience/personal protection dogs. Attended Guelph University (Ontario Veterinary College) for seminars in DOG TRAINING AND BEHAVIOUR MODIFICATION. Currently enrolled with the University of Guelph’s continuing education program in Canine Seminars. Attended and participated in C.P.R.- FIRST AID, and basic Rescuer Workshop of Animals. Responsible for the training and/or upkeep training on P.S.D CHASE, P.S.D. KINGSTON, P.S.D. SNIPER, P.S.D. JUSTICE, P.S.D. GAGE, P.S.D. HONOR, and P.S.D. KRUZ, P.S.D. BARON and P.S.D. TITAN for the HALTON REGIONAL POLICE SERVICE and served 6 years as their K9 Trainer. Instructor for the U.S.P.C.A. (United States Police Canine Association) seminar in DOG BEHAVIOURS in the PROTECTION PHASE OF WORKING POLICE DOGS. In 2004, I was fortunate enough to make TEAM CANADA with my dog COLIN MALEMI and travel to the Netherlands to represent Canada at the W.U.S.V. (World Championships) in the sport of Schutzhund- I received high Obedience and High Tracking for the country and was among the 3 top scores that gave Canada a final standing. 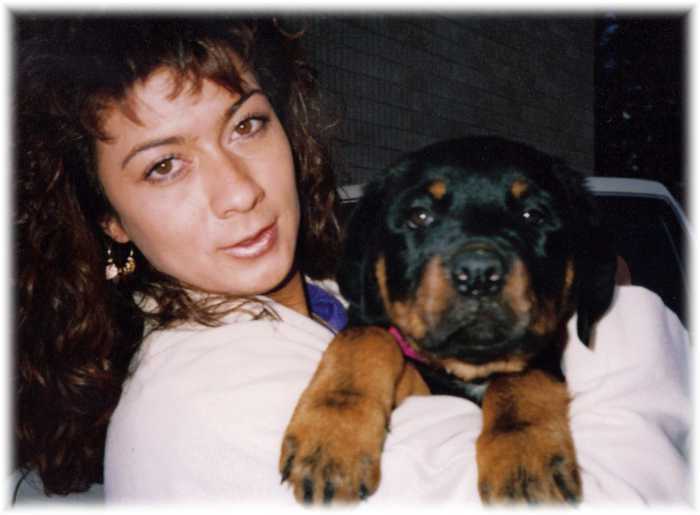 President and founder of NIAGARA HUNDESPORT/POLICE K-9 TRAINING CLUB-a member of the G.S.S.C.C. (W.U.S.V) & Trial Director for the Ontario Region under the GSSCC. In 2005, I made TEAM CANADA again with my dog COLIN MALEMI. Colin was the second oldest dog at this WORLD EVENT and did a very respectable performance once again for our country and again was in the top 3 to give Canada a final standing. Have earned over 120 top placements and awards with multiple dogs in 12 years through the sport of Schutzhund (IPO). Have placed my own dogs in 7 different countries all over the world, used for police, Military, SAR, competition, breeding and of course great family pets. Have attended numerous seminars on topics concerning health, nutrition, vaccination protocols, etc… Dr. Jean Dodds is a leader in these fields and I have concluded many of my decisions based on what I have learned from her. "My training, experiences and sharing my knowledge continues with each new day and every new situation.... it doesn’t get much better than that." It looks like you don't have the adobe flash player installed.